World Cafe Live spent six years at Wilmington's revitalized Queen Theatre in the city's downtown. After six years operating the Queen Theatre in Wilmington, World Cafe Live announced Tuesday that it will be leaving Delaware in late May and handing the venue over to a new management company. In a statement on Facebook, World Cafe Live at the Queen thanked staff and supporters for their years of dedication in trying to revive the venue as a viable destination. It reopened in 2011 after a $25 million renovation. "Despite our best efforts to make the Queen a seven-day-a-week operation like our Philly venue, we have not been able to generate the revenue required to sustain such an ambitious business model," World Cafe Live said in its post. A spokesperson for the city of Wilmington told Newsworks that the Queen Theatre will be taken over by a new management company that has yet to be determined. 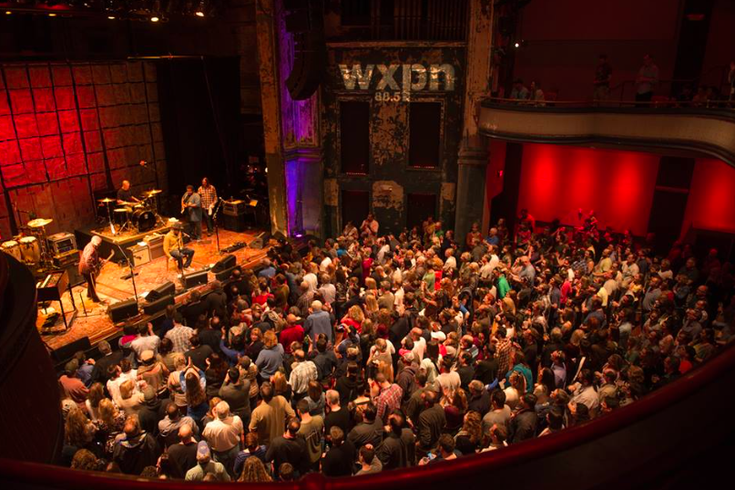 The WXPN and NPR concert venue plans to refocus its energy on the Philadelphia location and launch "World Cafe Live Presents," an initiative that will bring concerts and events to venues both in and outside the region. "This offsite concept is one that has intrigued us for years and we’re excited to start pursuing those opportunities," the post continued. World Cafe Live at the Queen will officially close on May 25 but will continue to host scheduled concerts in the coming months.